It's Christmas time and who is not in the mood for planning another amazing ski holiday? 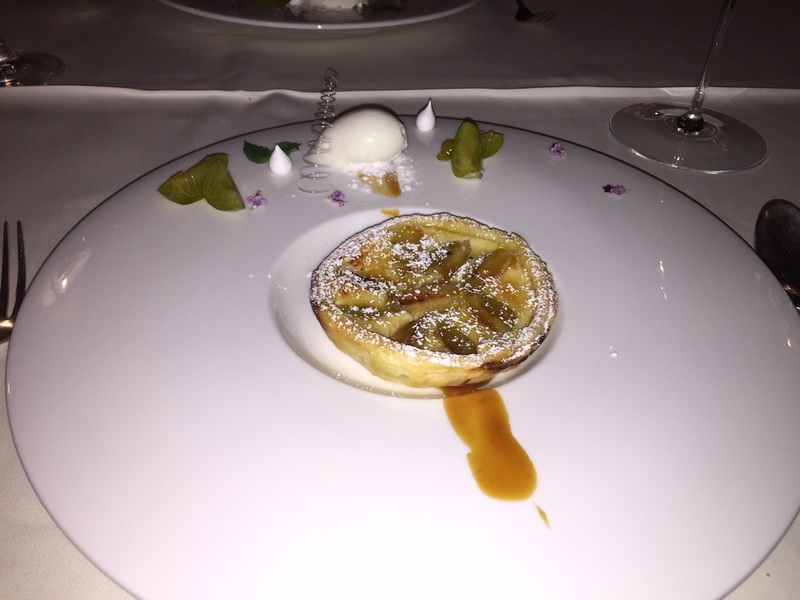 St. Moritz, Courchevel, Lech am Arlberg or Davos-Klosters? Fancy for having breakfast with the royals? Why not doing like Prince Charles and staying at the Walserhof in Klosters? When we enter the not very big but sill spacious restaurant we were immediately greeted by our very nice waitress who didn't hesitate to showed us to our table. The first thing we noticed was of course the traditional ambiente of the whole restaurant which invites you with a warm and cosy traditional alpine feeling, consisting of lots of carved wood and the romantic candle light. As an "amuse gueule" we were served a small peace of home smoked salmon atop home made humus and accompanied by a seasonal pumpkin cream soup. 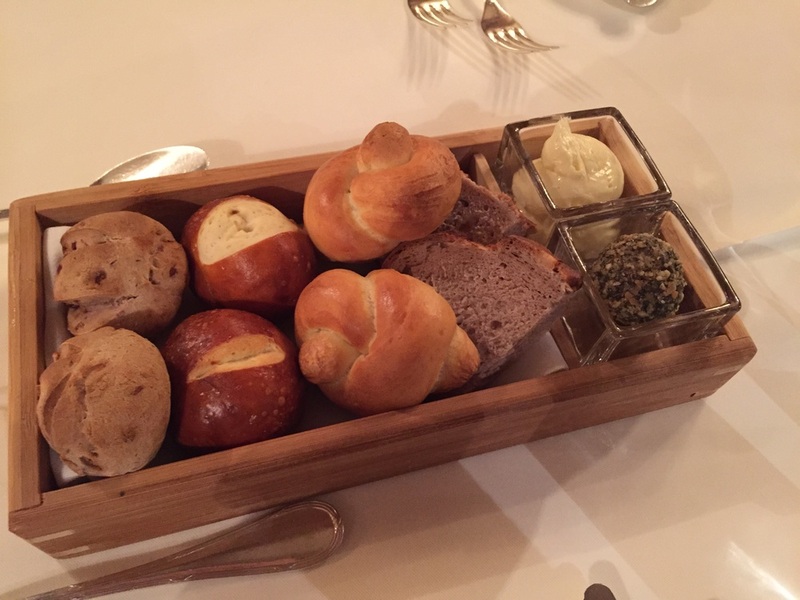 One of the small highlights of the menu was the selection of home backed bread rolls with alp butter and "Schmalz" in pumpkin seed crust which is a greasy traditional spread. As a starter we were served a variation of goose liver. Starting from left to right there was a creme brulee, blueberry cream, frenchtoast, ice cream all containing the key ingredient goose liver. Then we continued with a chestnut cream soup garnished with local truffle flakes. 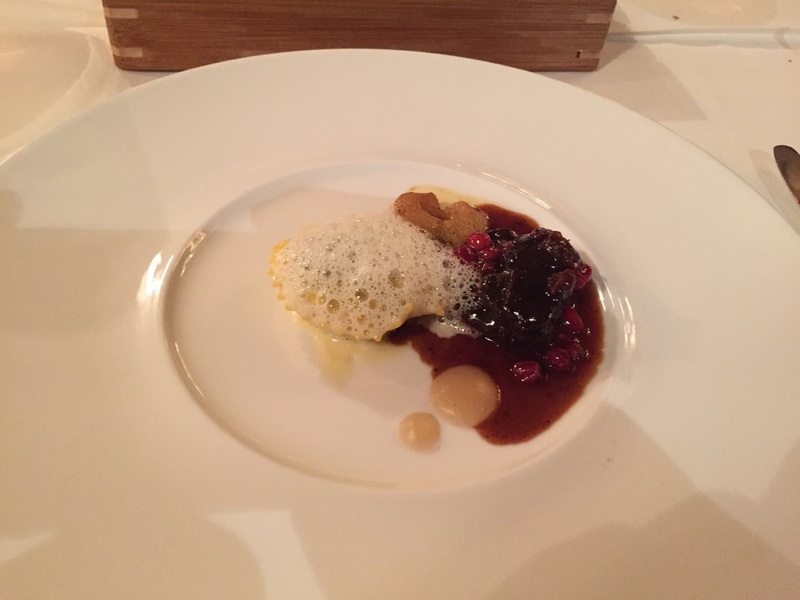 For the second starter we received a ... filled with... and a peace of braised deer in wildberry sauce. Just before the main course we tought to ourselfs how the previouse dishes could even still be toped but we were in for a very plesent surprise. We were served a wild Guineafowl filled with (mushrooms?) with a amazing ... souce and a small peace of corn as well as a single peace of pop corn. Then we could choose from a wide variety of traditional Swiss cheeses. Variing from cow to goat and sheep and all kinds of wonderful sorts. After all I have to say that the philosophy of locally sourced products and home made where ever it is possible really impressed me.